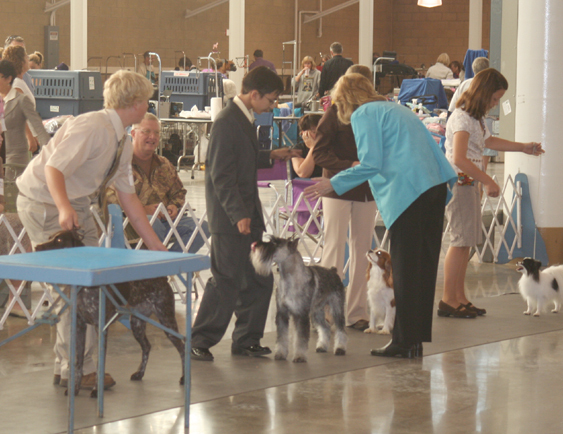 Showing dogs is a family activity for us. 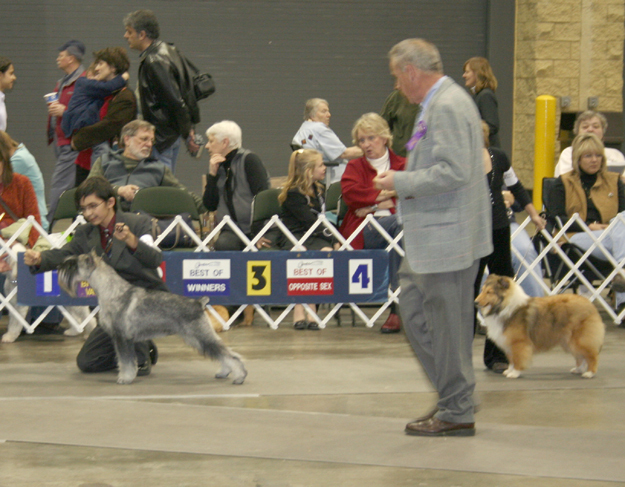 Show weekends are our entertainment. 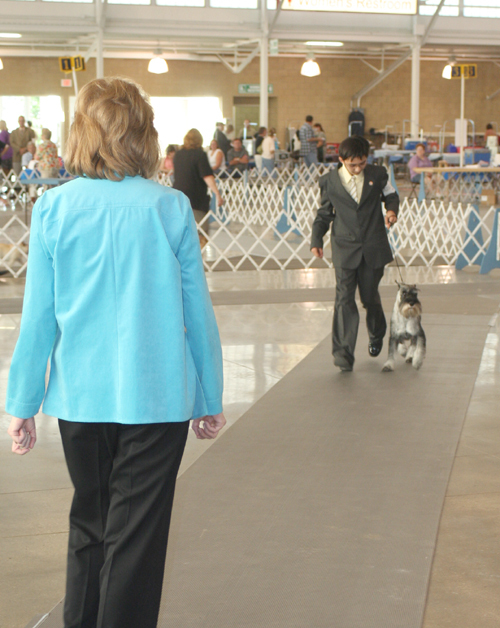 So it wasn't long before Suzannes oldest boy wanted to try Junior Showmanship. 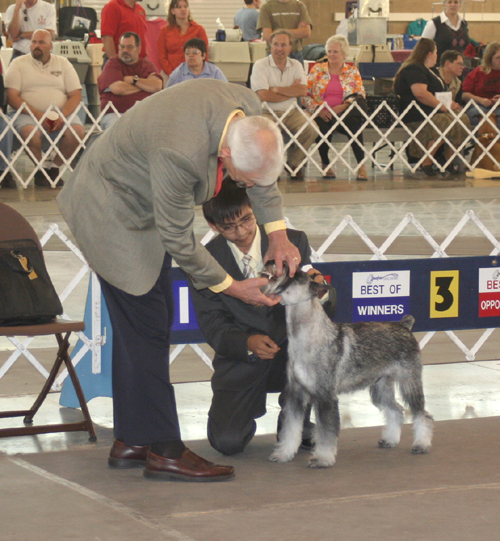 Luis was 13 at the time he first went into the ring. 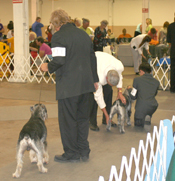 Now anyone who owns a Standard knows a Schnauzer under two years of age can be a handful and Magic is "high energy"! 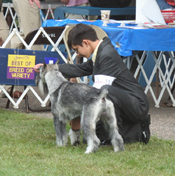 But Luis has done a wonderful job at presenting Magic and Magic seems to perform well for him. 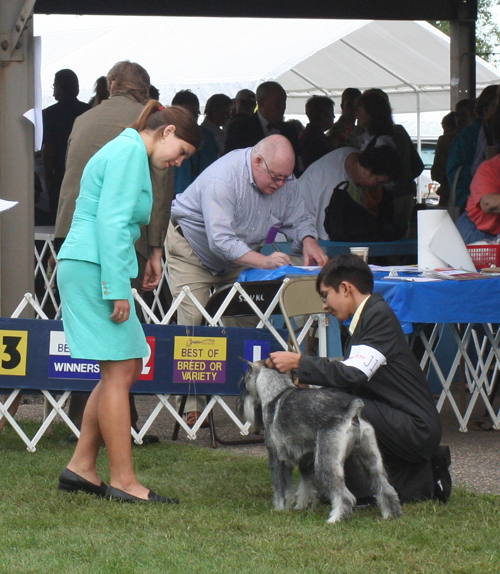 Now I never went through Junior Showmanship, so I won't pretend to know a lot about it, but we are learning and having a lot of fun along the way. Below are some pictures of Luis and Magic in the ring. 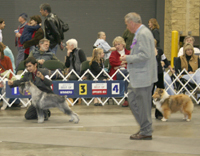 The picture above is Magic winning BOB at the Ceder Rapids Kennel Association show in 2007 where Luis showed Magic in the regular classes while I was showing another Standard. He did a fine job and beat me in the classes. 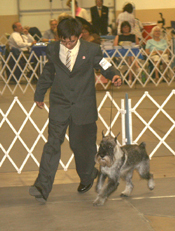 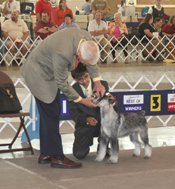 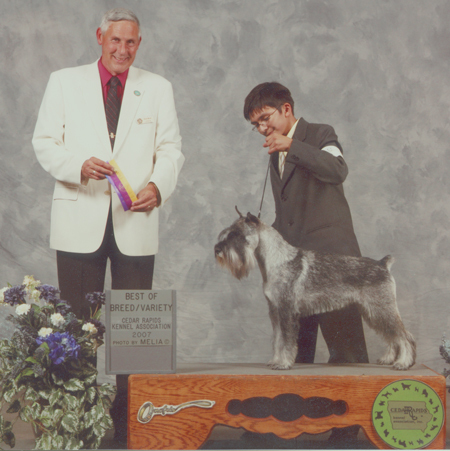 The AKC site has a wonderful area devoted to the Junior Handler, there is a link below. 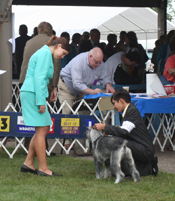 There are also a couple other links to sites of interest for the Junior Handler. A nice site devoted to the Junior Handler. 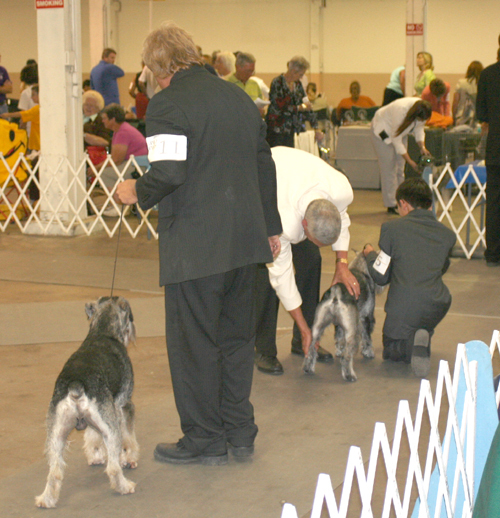 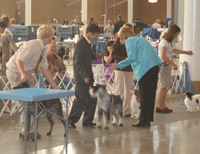 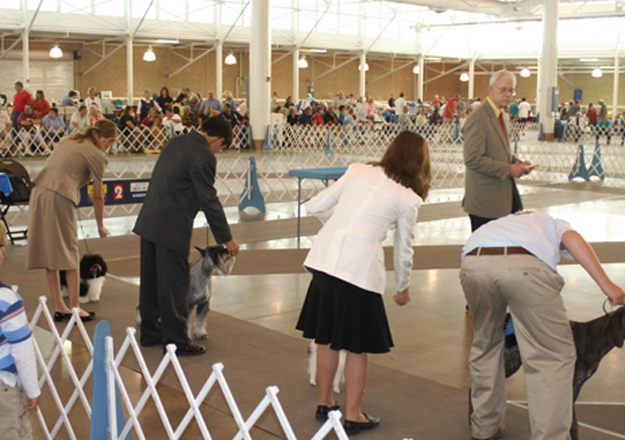 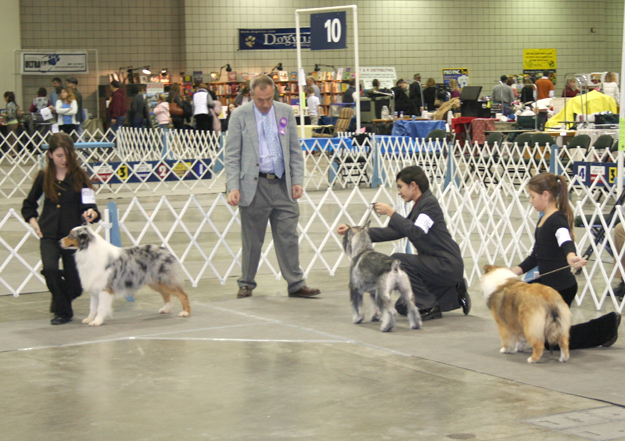 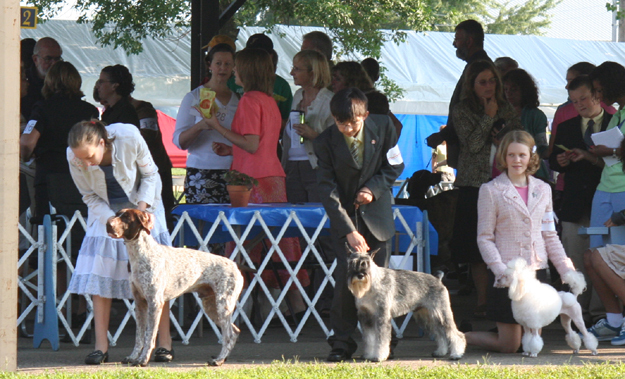 AKC Juniors area. 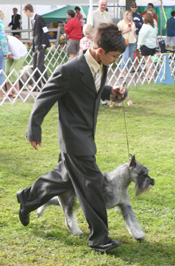 Great information from the source This is a nice little site I found that had diagrams and information from a juniors viewpoint. 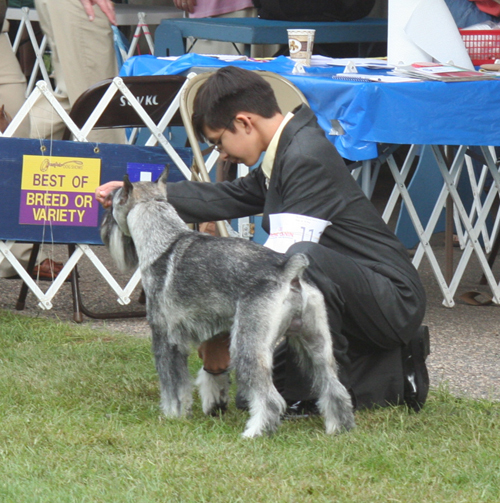 It hasn't been updated for a while, but worth the visit.